Now University of Arizona College of Engineering professors Dominic Gervasio and principal research specialist Hassan Elsentriecy from the Department of Chemical and Environmental Engineering have invented a toxin-free method using high-temperature molten salts to extract the metal from raw copper ore.
At the same time, in collaboration with Peiwen "Perry" Li from the Department of Aerospace and Mechanical Engineering, this team was inventing new ways to utilize these same high-temperature molten salts to recover and store the vast amounts of heat energy created in metal refining and smelting production. Together, the complementary inventions — seven in all — represent an opportunity to make big impacts in both mining and energy storage. Funded in part by serial entrepreneur and co-inventor Abraham Jalbout, the team worked with Tech Launch Arizona, the office of the UA that commercializes the inventions stemming from University research, to bring the technologies to the market via a startup company, MetOxs Electrochemical. 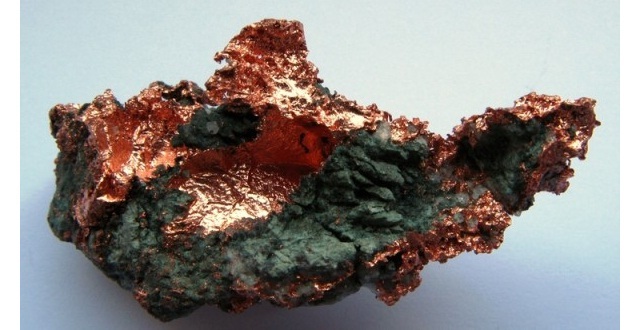 Current methods for extracting copper from ore involve chemical processes that produce huge mountains of waste mine tailings and lake-size waste water collections, accumulating high levels of toxins such as arsenic, cadmium and sulfuric acid. The method of metal refining developed by Gervasio, Elsentriecy and Li — being commercialized via MetOxs — works by heating the ore using molten salts to temperatures exceeding 1,500 degrees Farenheit such that the copper is separated from the ore for easy collection. The technique is transferrable to any mineral extraction process, which, according to Jalbout, "makes it a game-changer in terms of its robust nature and wide opportunity for implementation and impact." "What makes this truly unique is use of a very specific salt formula that has the ability to strip the copper from the ore without the use of water and dangerous chemicals," says Bob Sleeper, Tech Launch Arizona licensing manager for the College of Engineering. As a parallel benefit, the technology also allows for the collection of surplus heat and using it to power steam turbines and generators. The process is similar — but much hotter — than that used for refining aluminum ore. Prior to this team’s research, such processing was not possible. MetOxs CEO Jalbout sees great opportunity in the venture and is currently in discussions with multiple companies to scale up the process. "Our technology represents a change of monumental importance for the viability and sustainability of the mining sector," Jalbout says. "As we have seen in the industrial revolution, this is the new era the industry must strive for." "MetOxs is on a great path," Sleeper says. "Given what’s currently out there and what they’re bringing to the market, these technologies could really shift the paradigm with cleaner, more efficient methods for both mining and energy storage."